Berries are enmeshed with human history. Widely available in nature, they have been part of the human diet for millennia, and today they inspire everything from lip-gloss flavours to amusement parks. However diminutive their size, berries are of such significance to Northern and Eastern Europeans that picking them in the wild is ‘everyman’s right’, interwoven with their cultural identity, but some berries can be deadly. 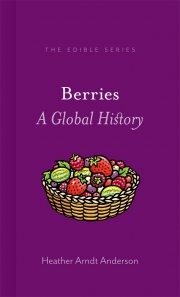 In Berries: A Global History, Heather Arndt Anderson relates the story of how humans came to love these tiny, bewildering fruits. Readers meet the inventor of thornless brambles, learn ancient fables and berry-lore, and discover berries’ use in poisonous witches’ brews and modern superfood health crazes. 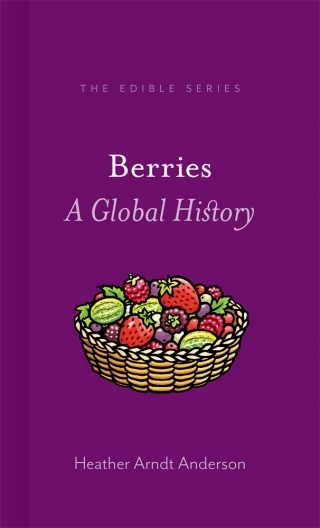 Featuring a selection of historic and original recipes for berry-lovers to try, this is a witty and lushly illustrated ramble through the curious history of our favourite fruits, which will appeal to food lovers and social historians alike. Heather Arndt Anderson is a food writer, culinary historian and botanist based in Portland, Oregon. She is the author of Chillies: A Global History (Reaktion, 2016), Breakfast: A History (2013) and Portland: A Food Biography (2014).